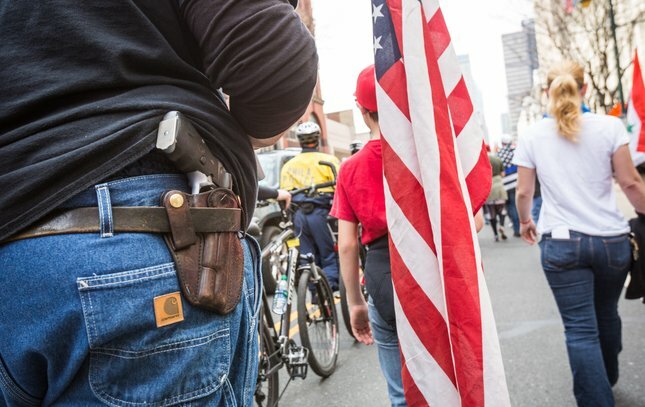 A Trump supporter marches along Market Street openly carrying a firearm during the Make America Great Again March, Saturday, March 25, 2017. 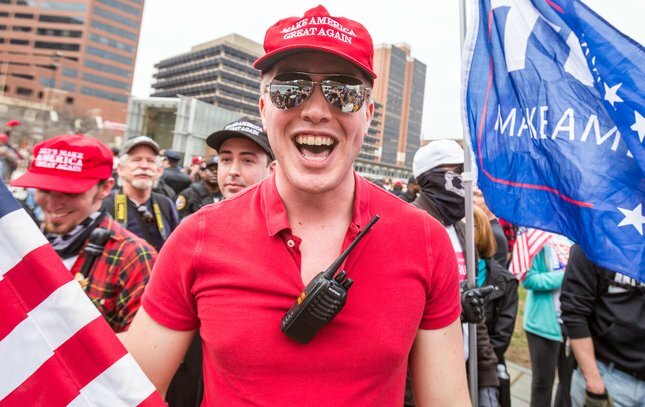 A Trump supporter on Independence Mall during the Make America Great Again March, Saturday, March 25, 2017. 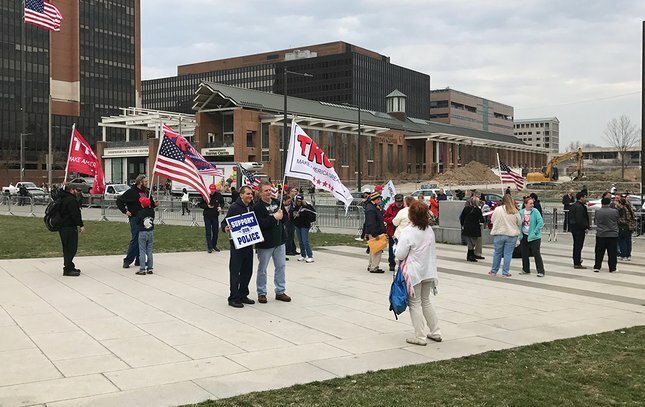 Trump supporters near Independence Mall during the Make America Great Again March, Saturday, March 25, 2017. 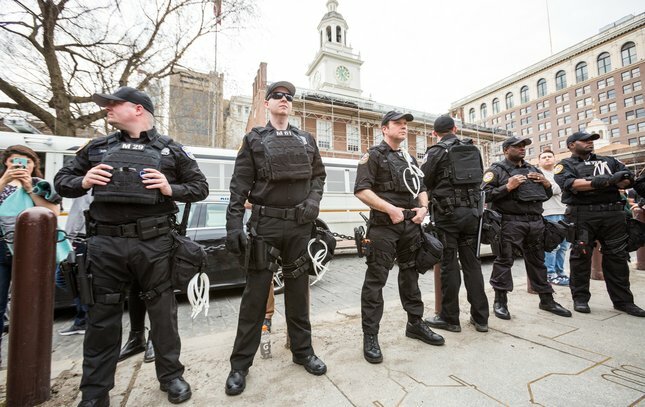 Philadelphia Police's Counter-Terrorism Unit officers secure a border between Trump supporters and Independence Hall during the Make America Great Again March, Saturday, March 25, 2017. 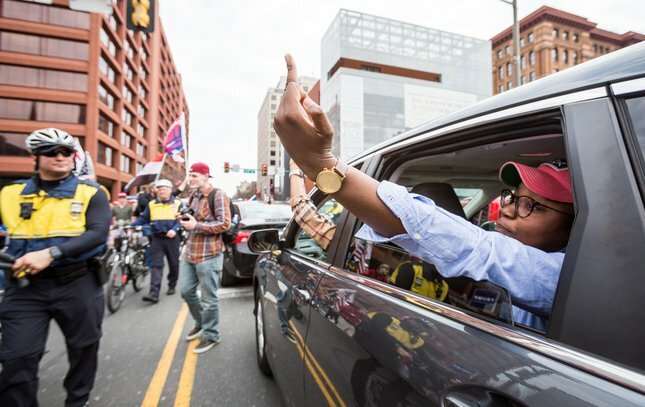 Trump supporters pass motorists on Market Street near Independence Mall during the Make America Great Again March, Saturday, March 25, 2017. 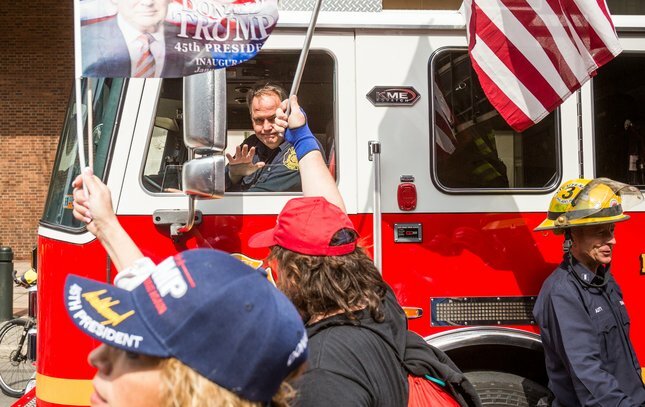 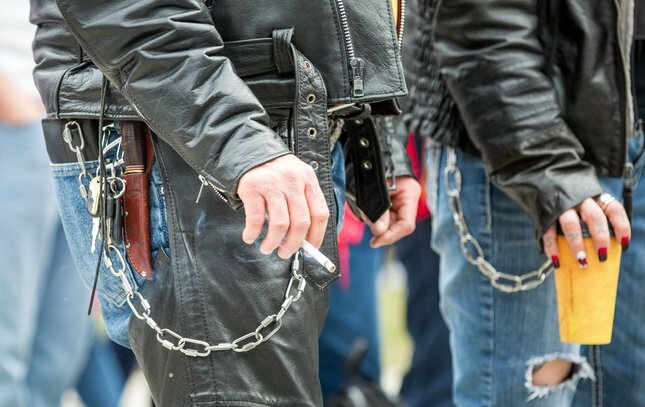 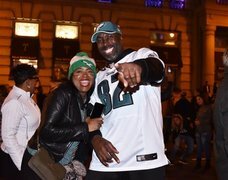 Trump supporters react to police when they were initially told that they wouldn't be able to march to the Philadelphia Museum of Art during the Make America Great Again March, Saturday, March 25, 2017. 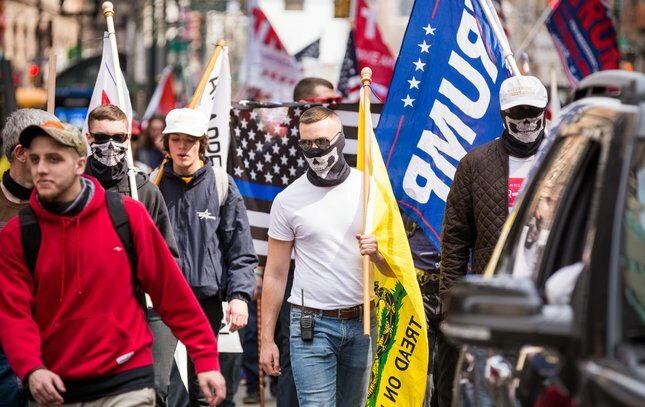 Trump supporters march along Market Street toward City Hall during the Make America Great Again March, Saturday, March 25, 2017. 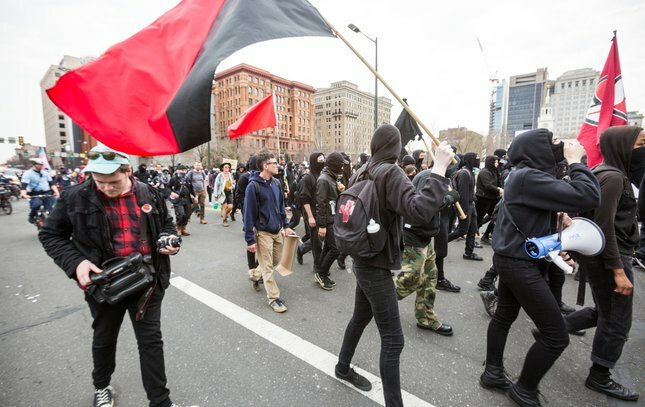 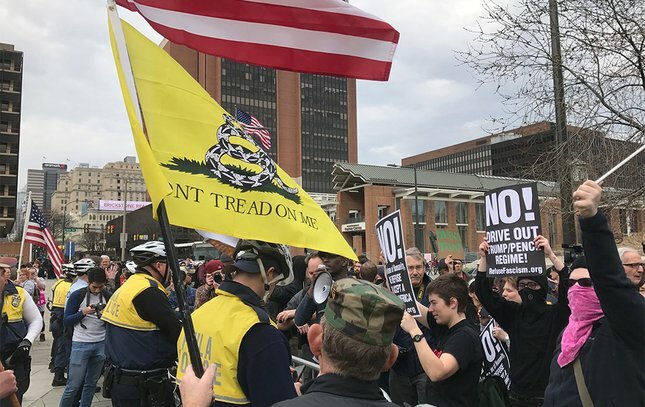 As Trump supporters arrived near City Hall, anti-Trump protesters were kept from interfering with the Make America Great Again March, Saturday, March 25, 2017. 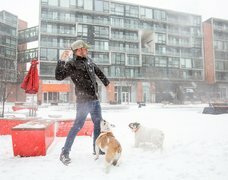 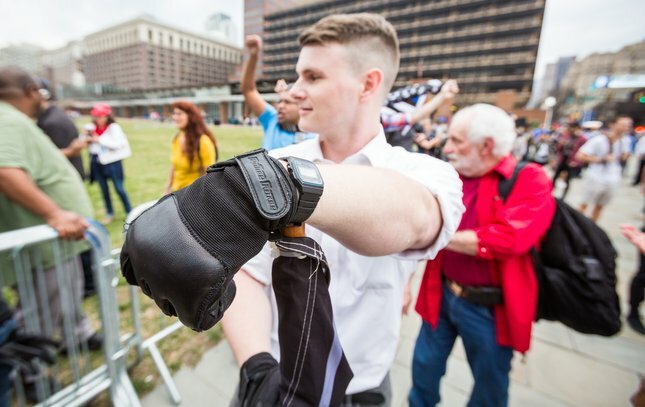 A Trump supporter on Independence Mall after marching to City Hall and back during the Make America Great Again March, Saturday, March 25, 2017. 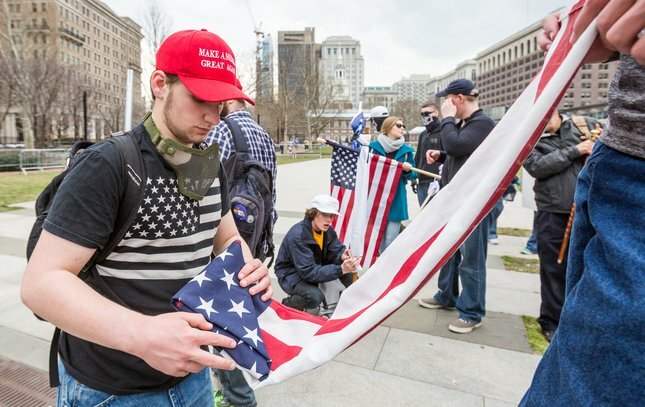 Trump supporters fold the American flag at the conclusion of Saturday's Make America Great Again March, March 25, 2017. 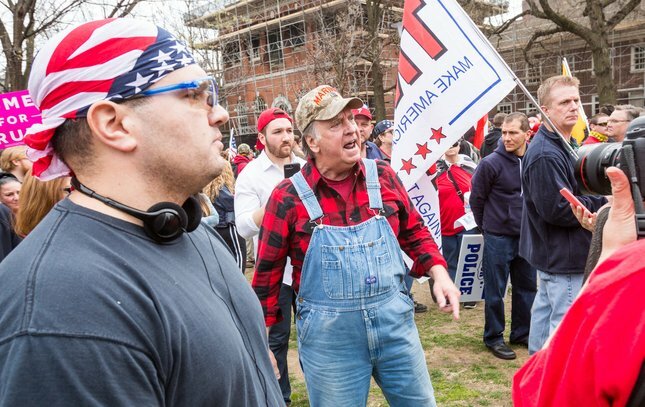 Trump supporters chant 'USA' at the opposing protestors during the Make America Great Again March, Saturday, March 25, 2017, at Independence Mall. 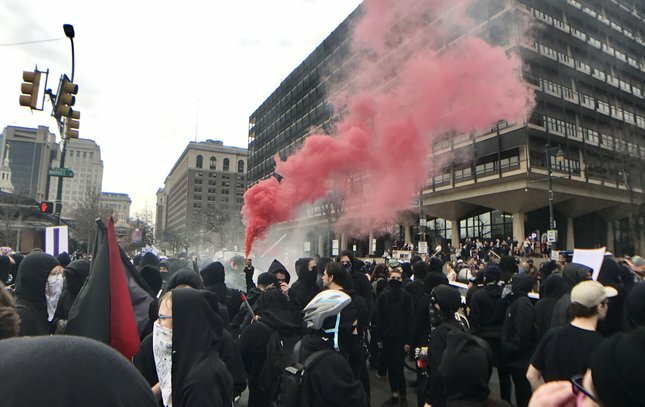 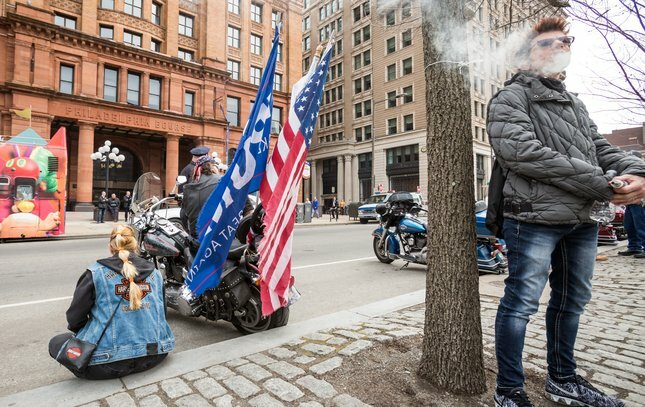 Smoke fumes from a canister held by anti-Trump protesters at the intersection of 6th and Market streets, near the Make America Great Again March, Saturday, March 25, 2017. 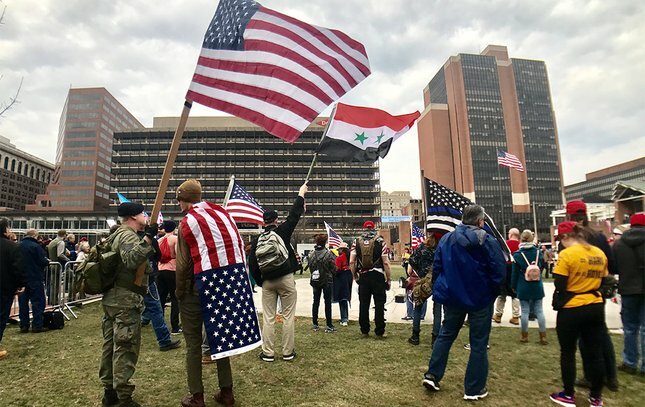 A group of Trump supporters gathers on Independence Mall in Old City on Saturday. 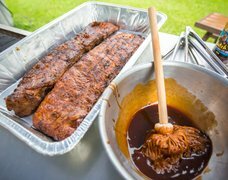 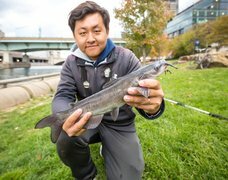 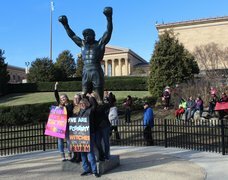 About 50 supporters of President Donald Trump had gathered near Independence Hall at about 11:30 a.m. Saturday. 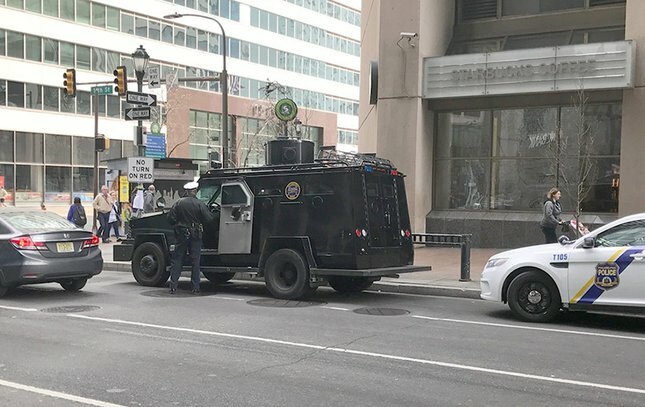 A Philadelphia police SWAT vehicle sits at 16th and Market streets in Center City, about 90 minutes before the start of the Make America Great Again March. 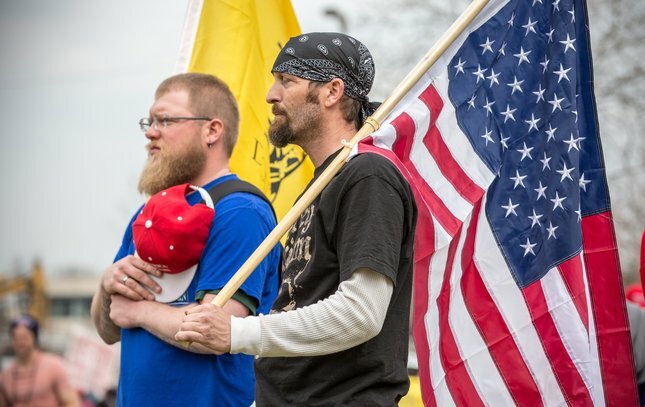 A Trump supporter and an anti-Trump protester stand within feet of each other at the Make America Great Again March, Saturday, March 25, 2017, at Independence Mall. 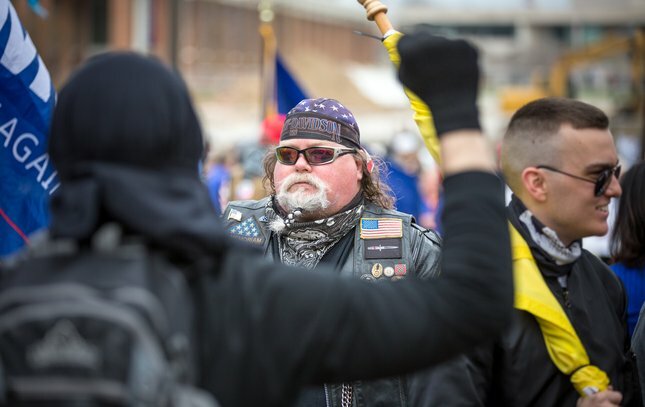 Trump supporters listen to a speech during the Make America Great Again March, Saturday, March 25, 2017, at Independence Mall. 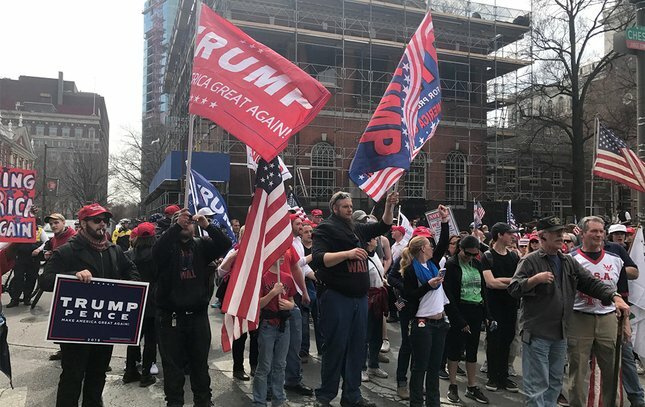 Trump supporters pause for a moment while 'God Bless America' is sung during the Make America Great Again March, Saturday, March 25, 2017, at Independence Mall. 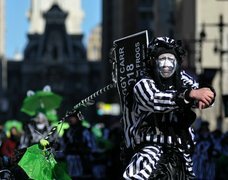 Anti-Trump protestors march down Market Street during the Make America Great Again March, Saturday, March 25, 2017, at Independence Mall. 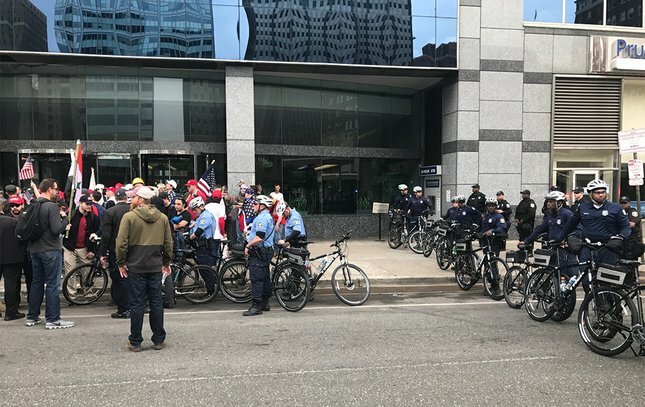 Philadelphia police stand between supporters and opponents of President Donald Trump in Independence Mall in Old City. 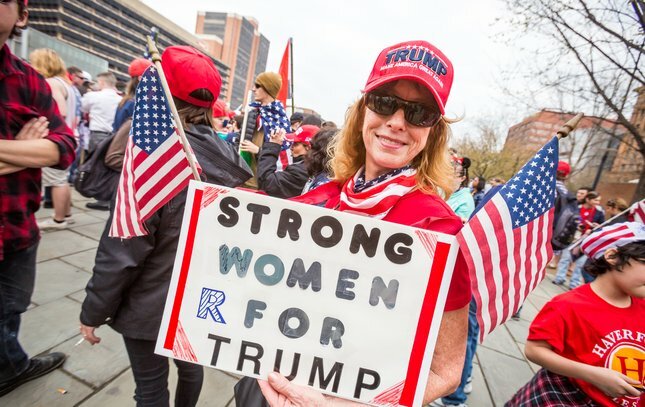 Trump supporters get ready to march after waiting more than an hour. 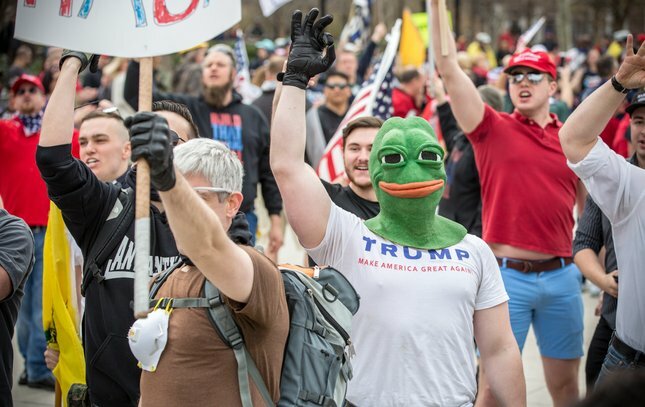 Trump supporters walk around City Hall at 2:15 p.m. Saturday, March 25, 2017. 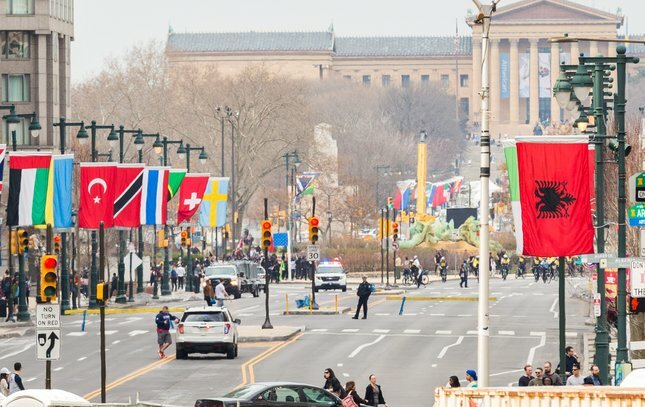 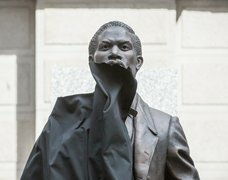 The march was headed to the Philadelphia Museum of Art. 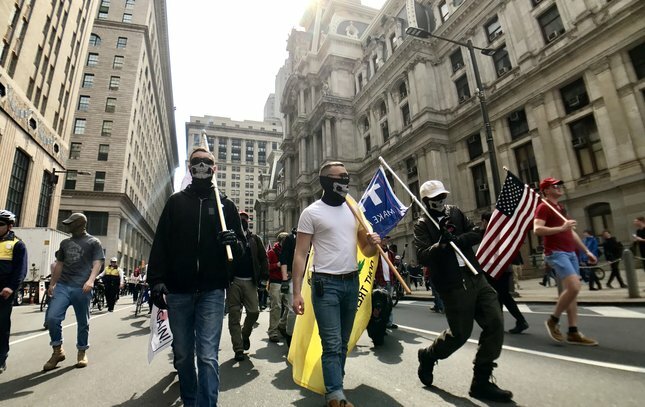 A line of police officers blocks the advance of pro-Trump marchers down John F. Kennedy Boulevard, between 15th and 16th streets, near LOVE Park. 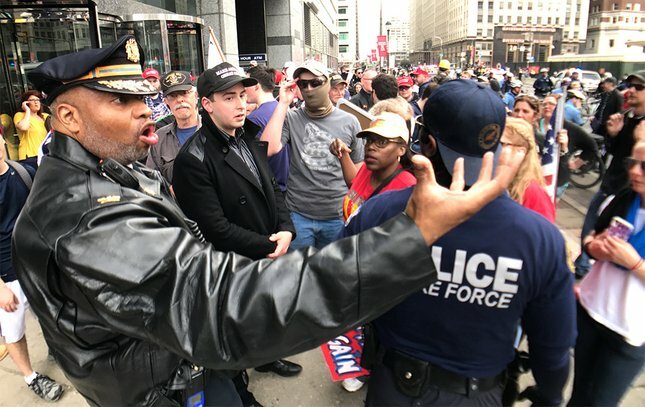 Philadelphia police Chief Inspector Melvin Singleton speaks with Trump supporters at 15th Street and John F. Kennedy Boulevard after they were ordered to disperse due to the presence of the anti-Trump protesters on Saturday, March 25, 2017.